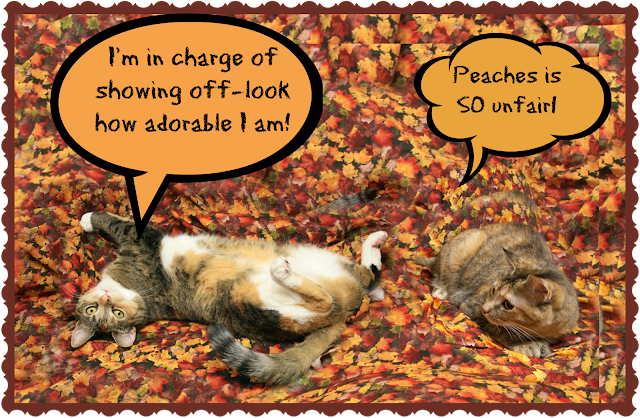 Peaches and Paprika, noticing a chill in the air, made use of the newly fallen leaves to display autumn "attitude" and compete for "most glamorous cat. "And then, the news! You are both beautiful and belong in Modern Cat ad Catster magazine. I love Fall, that is a beautiful background. Oooh you two!! You both look so gorgeous how could we choose between you!!! You both look lovely. I think I had better subscribe to those magazines. You two are both adorable! We love your selfies. 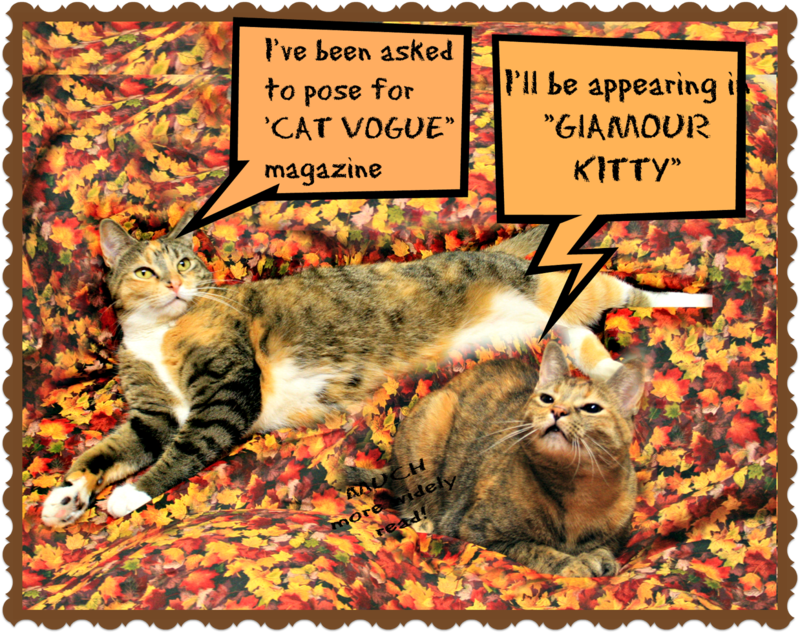 You both are cover girlcats! Nice selfies! Those magazines should definitely exist! They are both stars - especially in the fall!!! You two should definitely be in Cat Vogue and Glamour Cat. Afterall, you guys are sillybraties...um celebraties. Purrz from Pearl, who likes silly cats who are celebraties. 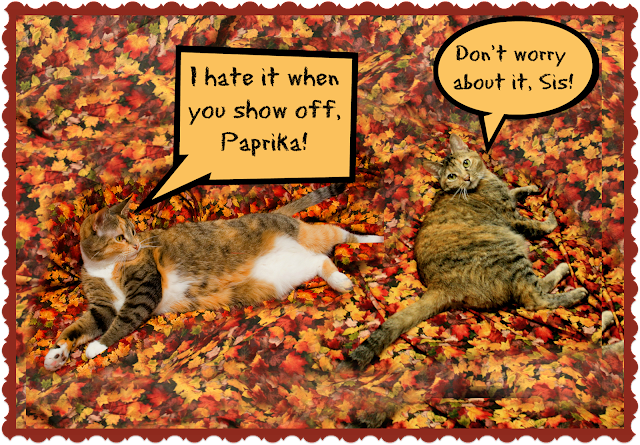 You two blend into the fall colors very well.